I wake up with music. This happens almost every morning. I open my eyes and usually there’s a song running through my mind. Sometimes it’s a song I might have heard recently – like the previous day or just before going to sleep. But the strange and fun part of this is when I wake up to a song I haven’t heard in years or even decades. What’s up with that? I don’t want to call these subliminal memories, or even an unconscious effort to recall the past. 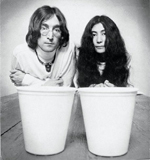 That’s too heavy – like John and Yoko going through Primal Scream Therapy in the early 1970′s to discover why they became Johnandyoko. This has just always been a very cool way to wake up – much better than the sound of an alarm clock. I never knew what song would be broadcasting through the brainwaves of my mind, so it was always a surprise. When there was no song, it was a disappointment. It’s just too bad these weren’t original songs. 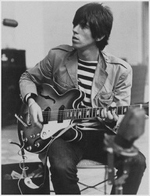 I’ve read about Keith Richards waking up in the middle of the night, laying down the main riff of Satisfaction on his reel-to-reel, then falling back asleep. When he woke up and saw the end of the tape flipping around the reel, he had no memory of what he did. He played it back and heard Satisfaction – followed by half an hour of him snoring. Great example of unconscious creativity. I also read that Paul McCartney woke up one morning with the complete instrumental version of Yesterday going through his mind. He immediately sat down at a piano (conveniently next to his bed – the luxury of being a Beatle) and picked out the proper chords. He called it Scrambled Eggs until he was sure he hadn’t dreamed up an old song and then put his own words to the music. My morning songs were always previously written and recorded by others. Unconsciously I was in a dream world cover band. They weren’t always classic rock or pop songs. Some were from decades old television sitcoms, movie soundtracks, commercial jingles and Broadway show tunes. Some were from favorite artists – and others from artists I really don’t care for and songs I can’t stand to hear. Obviously there was no program director in my mind or required playlist. I decided for no other reason than to figure out where my head was at, to keep track of these songs for one year. That’s 365 days if you’re counting – though I made it 366 to pretend it was a leap year. And since I didn’t wake up every morning with a song, or would be distracted and forget the song before writing it down – it took over two years to complete the list. I kept track of the dates, songs and artists on an Excel program. I also made a note if it was a song I had heard recently on my iPod or radio – or if I hadn’t. My song year has finished and it’s time to do a little sharing and examining. Maybe this exercise will give some insight into my personality as much as musical influences. I have no idea. In fact I really don’t know if this means anything at all. It was just a fun thing to do and took no effort. I’d wake up with a song, write it down and then continue my day. Some songs were repeated waaaay more than expected, while others were one hit wonders. Not that they were actually one hit wonders in real life, it just means that I only woke up to them once during my year of morning music. * The number of times a song was heard determines where it lands on The Dream Songs Countdown List. For instance, if a song was only heard once it will place lower on the list. Twice, a little higher… three times a bit higher… I’m sure you get it now. There will not be 366 songs on the list since many appeared more than once over 366 days. The top song – No. 1 – will be the one with the most wake-up plays. I already know what that song is. Everyone else will have to stay tuned. But enough explanation. It’s time to kick off this dream world countdown. If it seems interesting enough to follow I hope you’ll continue to tune into my brainwave broadcasts. 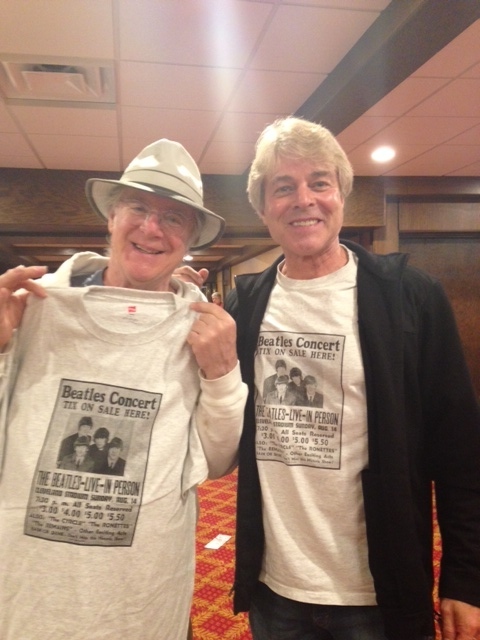 * The Beatles In Cleveland: Memories, Facts & Photos About the Notorious 1964 & 1966 Concerts. * How To Be A Working Comic: An Insider’s Guide To A Career In Stand-Up Comedy. In other words, you can expect a healthy dose of humor as we count down the list of Dream Songs. He is also an award winning newspaper humor columnist, entertainment journalist, award winning lecturer and trainer, and author of four additional books.